This activity removes permission assignment from site. 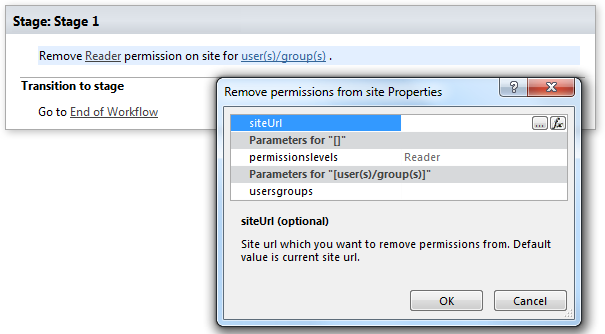 The following permission Permission level string. Reader, Guest, Editor, etc.